For people with schizophrenia, diagnosis can be a relief — all those symptoms finally start to make sense – but also a devastating and life-altering moment. Schizophrenia is a chronic and severe mental disorder characterized by thoughts and experiences that are out of touch with reality, disorganized speech or behavior, and limited participation in daily life. It’s also widely misunderstood. Pervasive negative stereotypes and social stigma often lead to feelings of shame, low self-esteem, and isolation. The road to acceptance and recovery can seem impossibly long and difficult. The good news is that many people with schizophrenia are able lead relatively healthy, productive lives. The National Alliance on Mental Illness estimates that up to half of the two million Americans with schizophrenia will recover significantly with the right treatment, which includes medication, therapy, social rehabilitation, and a strong support network. While there’s no cure for schizophrenia, recovery can mean no longer showing symptoms, interacting in a positive way with friends and family, and living independently. Of course, that’s certainly not the case for everybody. Like any mental illness, schizophrenia shows up in varying degrees of severity. Not only that, but treatment is highly individualized, often requiring a lot of trial and error, and relapses do occur. People with schizophrenia and those who care about them face a lifetime of struggles, small and large. 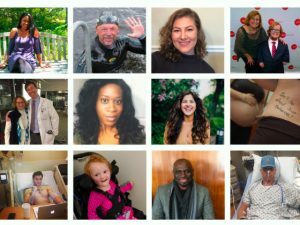 Rather than speak for them, we asked members of the Health Stories Project community to share their experiences with us*. How has Schizophrenia affected your life? “I have an extremely hard time going out in public as well as meeting people,” says Carmen. While responses from the community varied in the details, certain themes emerged clearly. Even for those who don’t suffer from the severest of schizophrenia symptoms, holding down a job can be difficult or impossible. Schizophrenia can make social interactions extremely challenging, and can wreak havoc on friendships, relationships with family members, and marriages. Daily life is often fraught with fear, pain, and unrelenting inner turmoil. 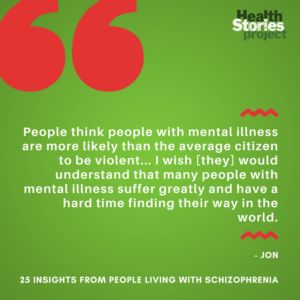 Many of those who wrote to us felt it important to address the false perceptions and stigma attached to schizophrenia. While readily admitting the depths of their struggles, many community members also shared coping skills and how they continue to find strength, hope, and happiness. “Be willing to work with your doctor and your family about treatment, including taking medication, talking with someone you can trust for therapy or counseling, and so on,” says David. “Accept challenges and handle what you can each day,” says Bob. 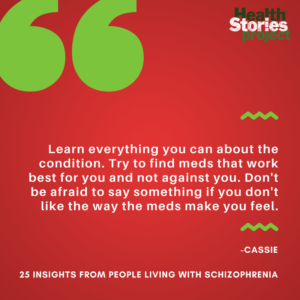 And finally, the Health Stories Project community offered plenty of sound advice for family members and extended support networks of people with schizophrenia. Have you been affected by Schizophrenia or another health condition? Sign up to share your experiences with Health Stories Project! *We’ve identified respondents by their first names only; anonymous responders were given names. I am bipolar, but a part of a clubhouse for the mentally ill. Most of us have jobs, some part time, and the rest volunteer. It’s part of an International Clubhouse group. The very successful executive director here, has a diagnosis of schz himself. 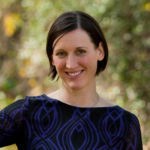 My daughter (Annabel) suffered schizophrenia for 5 years. I had no idea what was happening and didn’t know where to turn for help. It was hard then because I really didn’t understand the symptoms earlier until she was diagnosed. There was a time she decided to get away from everyone, I was not excluded. I had to sit and cry almost every day because I felt helpless as a single mother (she is all I have got). The anguish I went through taking care of her alone is beyond explanation because there was no support of whatsoever from the dad or family members. I fought for proper medical care and humane treatment; I did everything within my reach to get her cured but all to no avail. Countless different medications was prescribed (Zyprexa, fluphenazine, Risperdal, quetiapine, etc.) that she was taking but all we could get was myriad of side effects such as rigidity, drowsiness, dizziness, tremors and restlessness which tends to worsen the already damaged situation. Frustration was the order of the day. I wrote couple of messages to Ontario Mental Health Foundation for help because watching my daughter go through such was devastating. It was at this foundation someone shared a testimony about VEEMEON herbal medicine, how effective it is and how she went through the most difficult times of her life trying to help her mom fight Schizophrenia. Being that I was already at the verge of giving up because I just couldn’t imagine waking up every morning to fight the same demons that left me so tired the night before. I had to contact the doctor, from our conversation; I was relieved and convinced that the result is going to be positive because I was made to contact people with worse cases. Today, the awful situation of my daughter has gone by. Her happy life is back. She is now a schizophrenia survivor and I am glad because my daily routine activities can now kick off without obstructions. 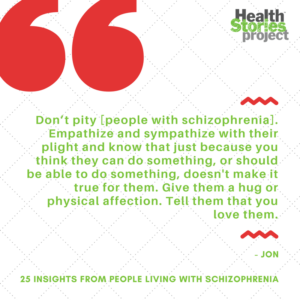 Don’t let Schizophrenia hinder you from living a desired life and also, never allow anyone decide for you especially when they don’t know what you have to go through to get to where you are. I was almost discouraged by the doctor but then, I remembered that: I have to shield my daughter’s destiny with courage, faith and perseverance because she is not in her right state of mind and that the bravery and freedom from fear is found in the ‘doing’. Her life is now a testimony. After my daughter got cured, she said, Mom “I just thought, ‘Well, I’m a weirdo, I’ll never be normal, then I said, my daughter, life itself is a misery and we get stronger in the places we have been broken. Thanks to you Dr. Austin for your excellent counseling, no more psychotic symptoms for the past 3 years and 4 months now. To know more about Dr. Austin and the effectiveness of his Herbs, You can view his blog: schizophreniacures.blogspot.com. I believe you will testify just like me.